Features a highly versatile 12" Celestion G12P-80 speaker. It fits neatly under the Hot Rod Deluxe and Blues Deluxe combos, adding bass response and thump, apparent volume and stage coverage. Speaker cable and fitted cover included. Manufacturer: Fender Musical Instruments Corp. Publisher: Fender Musical Instruments Corp. Studio: Fender Musical Instruments Corp. 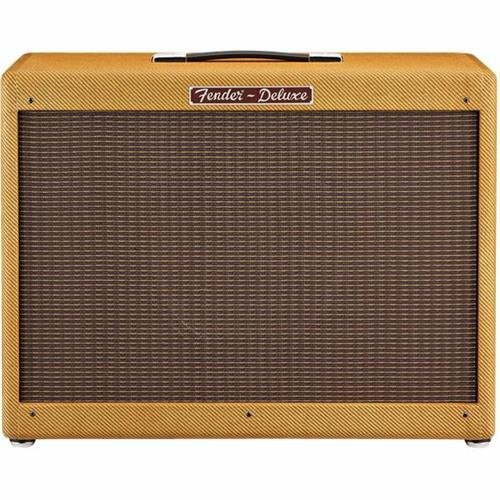 If you have any questions about this product by Fender, contact us by completing and submitting the form below. If you are looking for a specif part number, please include it with your message.